LUSH – Lipstick $18.95: Highly pigmented, cute colors and they go out of the way to help you find your perfect shade at the Lush Store. 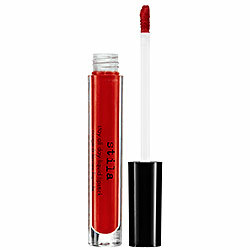 It also has jojoba oil and rose wax to help moisturize your lips. Stila – Stay All Day lipstick $22: I received a sample of this in my August Birchbox and I just love it. Has staying power and feels weightless. 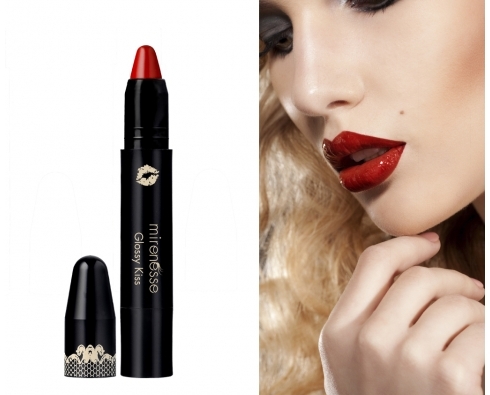 The red shade (Beso) I have is perfect! 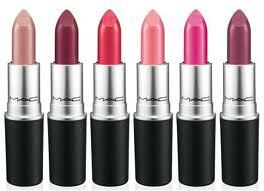 MAC- Lipstick $15: A cult classic for a reason. They have so many shades, so you will certainly find yours. The staying power isn’t as good as the two previous liquid lipsticks but I still love it. (especially their reds and pinks). 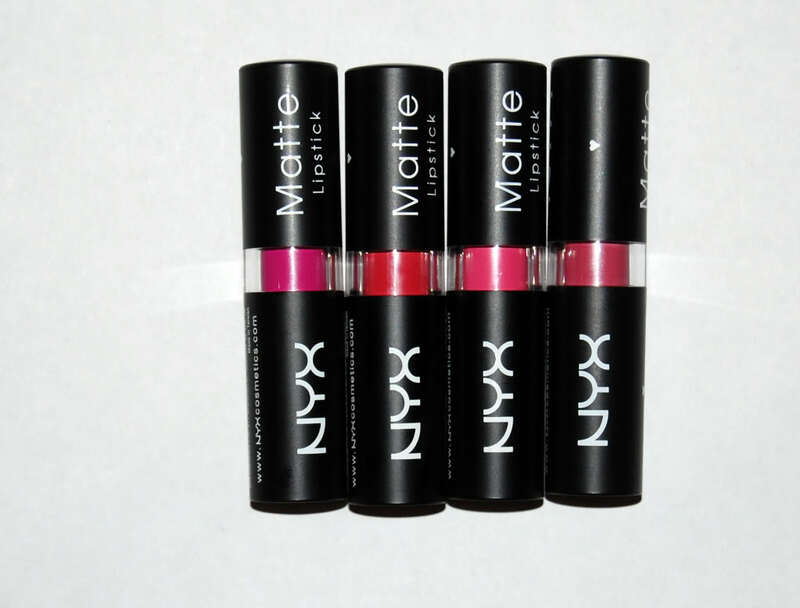 NYX Matte Lipstick $6: My go-to drugstore lipstick. I love the matte finish and $6 is freaking cheap. I’m also lucky that I love these two colors. 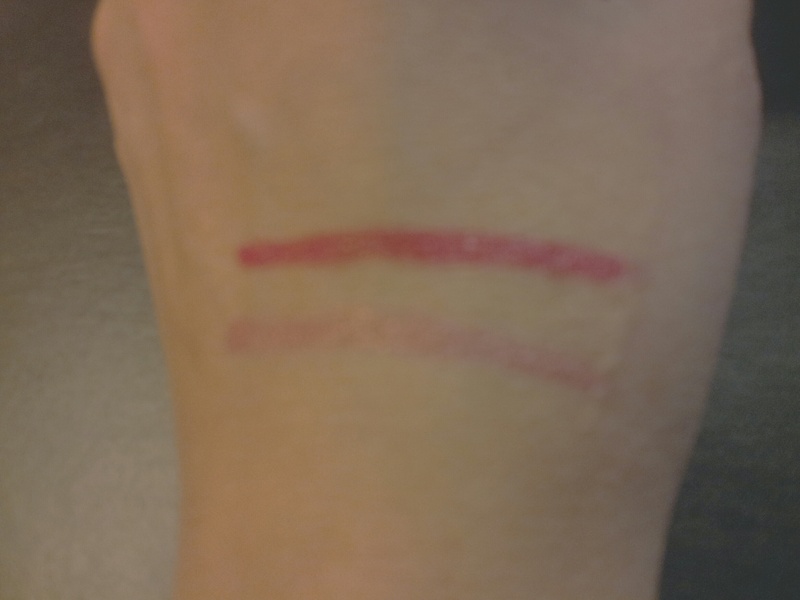 Top color is number 2, Flirty Kiss, bottom color is number 14, Prefect Kiss. Perfect Kiss is not available on their website right now. 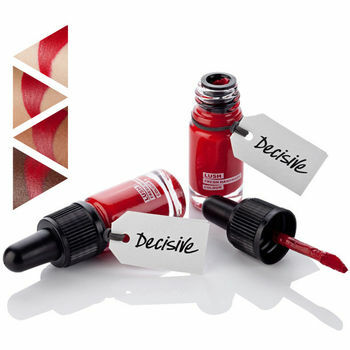 These are highly pigmented for a gloss and have good staying power. I was particularly impressed with the red. It’s deep red, and stains similar to a lipstick. But, it’s super soft and moisturizing. AND not sticky. This was my first time trying this line, and based on these two colors I’m likely to purchase more.